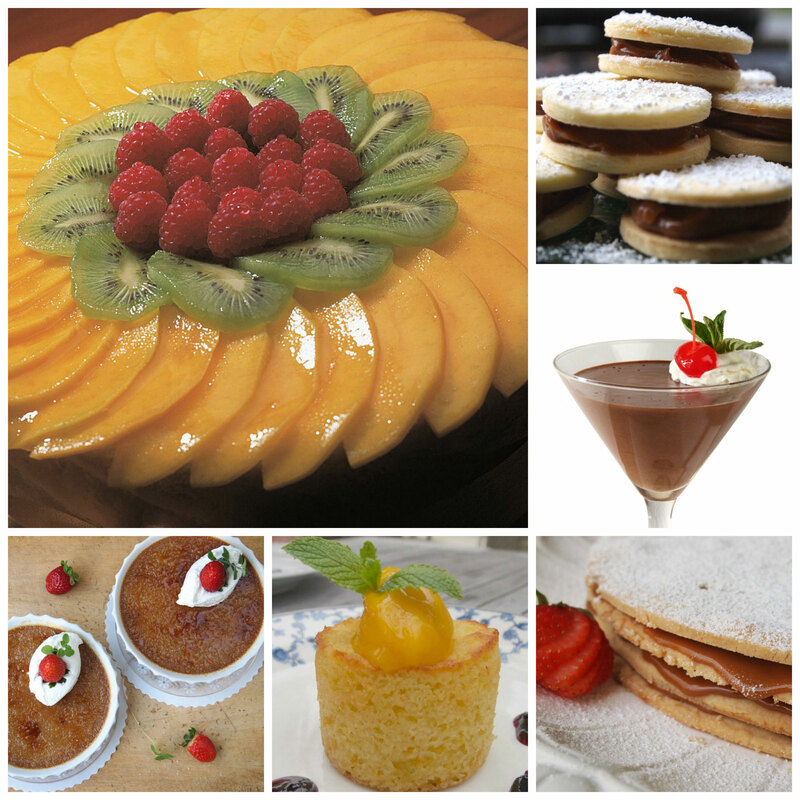 This Sunday is a day to celebrate love and friendship, and in my opinion the most fitting gift to express affection is a delicious sweet dessert made with your own two hands. 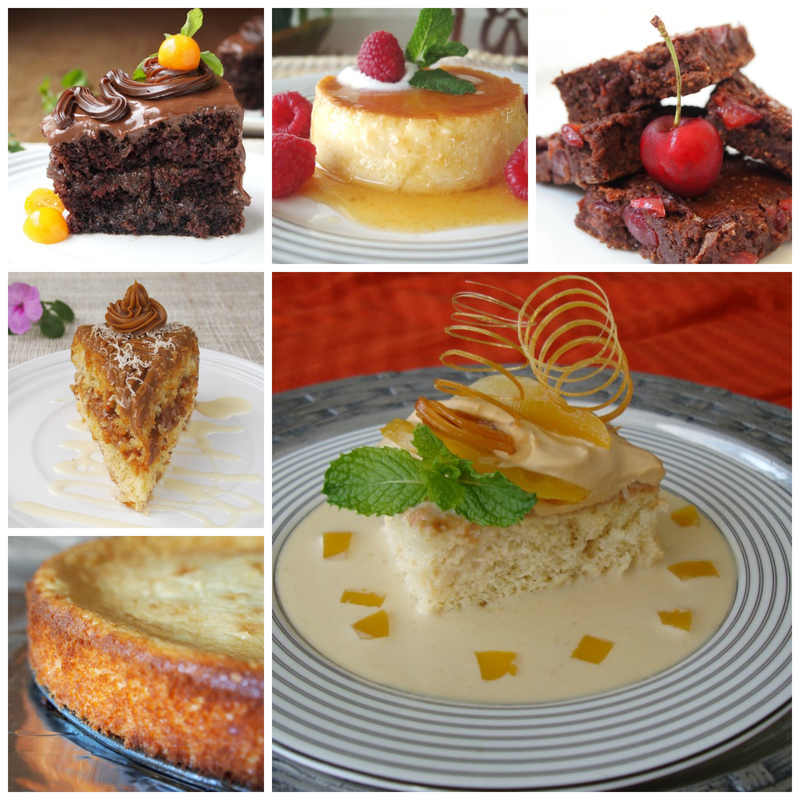 That’s why I’ve chosen 14 of our best desserts published here over the years, to inspire you to go to the kitchen and make one of them with love and appreciation for those special people in your life. 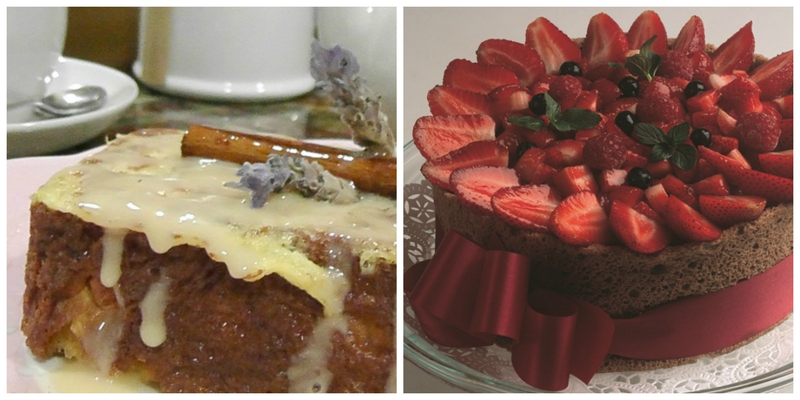 Some of these treats were originally created for Christmas or Mother’s Day, but they also go perfectly well with the theme of Valentine’s Day, so give them a try. 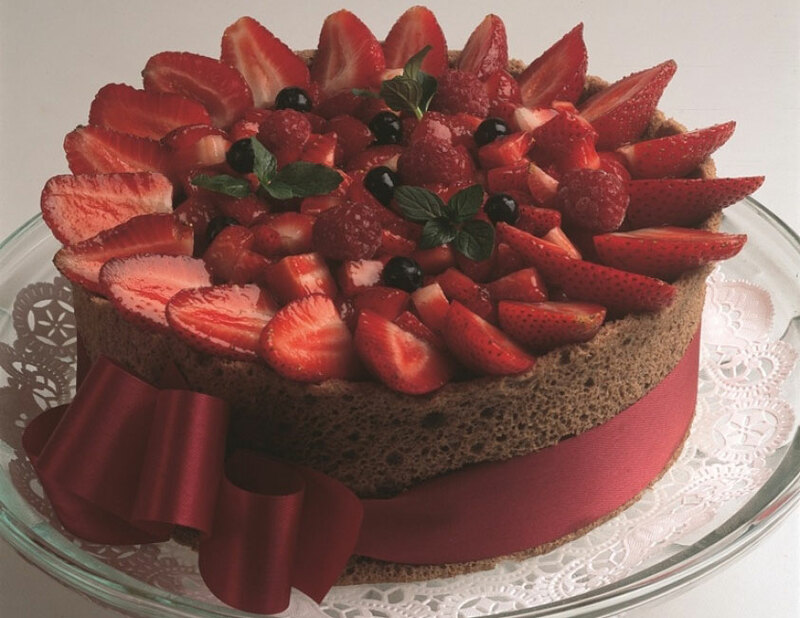 This chocolate caramel mousse cake with strawberries is a classic combination and looks extremely elegant and elaborate, perfect for a special celebration. Our apple and quinoa flan is always a good idea. 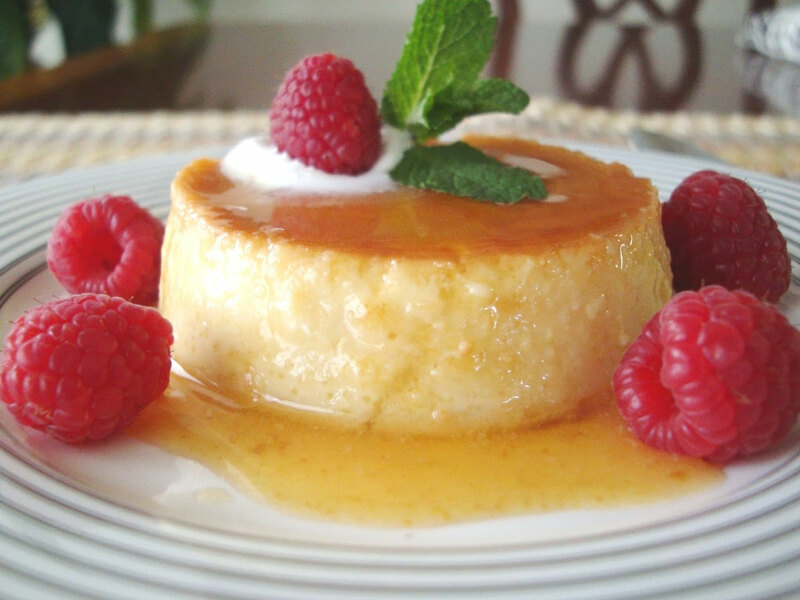 Who doesn’t like flan? And the best part is how easy to make it is. 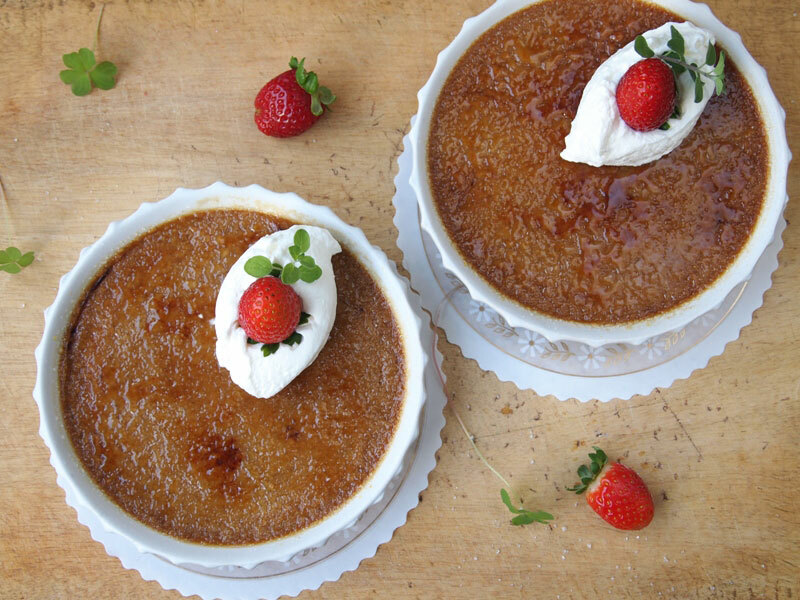 This French dessert, creme brulee, was given a Peruvian twist with the addition of algarrobina, a Peruvian syrup that you can replace with carob or mesquite syrup. 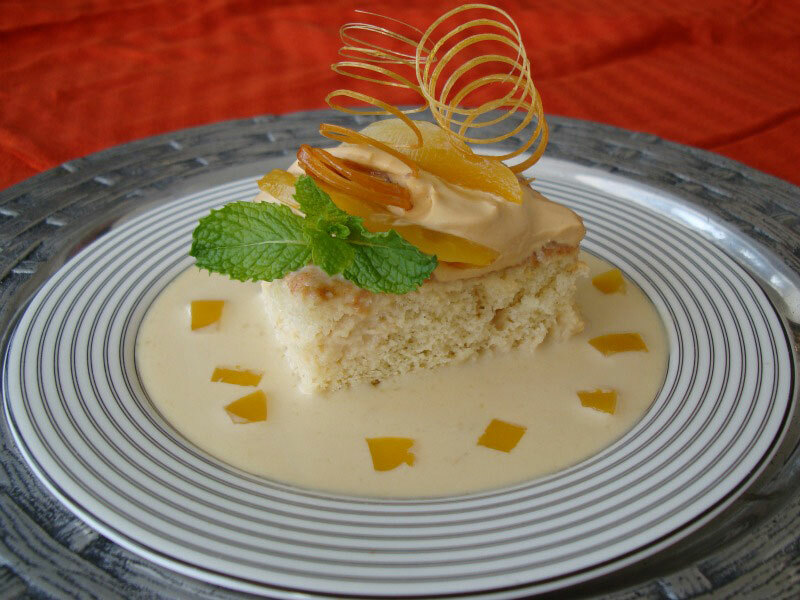 A mango tres leches with dulce de leche whipped cream will leave your loved ones begging for more. Guaranteed. 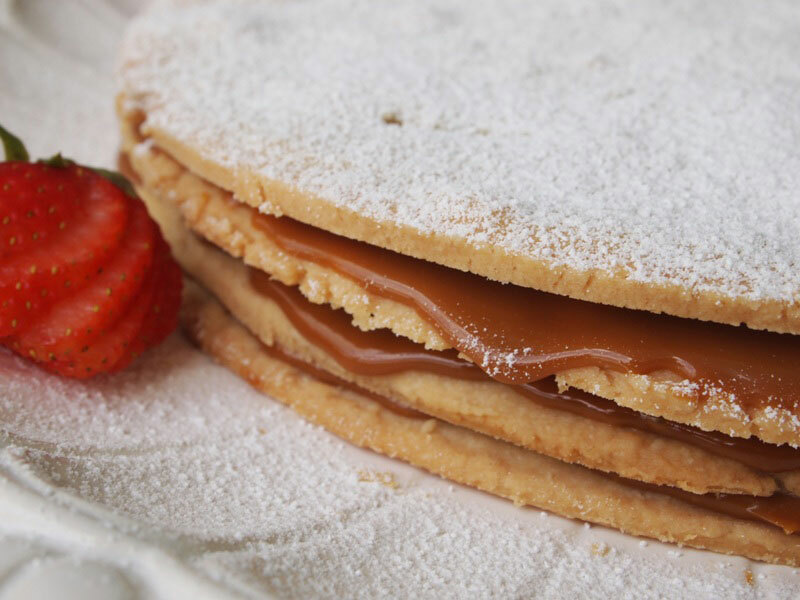 This alfajor capullano is so tender that it melts in the mouth. Make it ahead by baking the cookies the day before and assembling the dessert early in the morning. 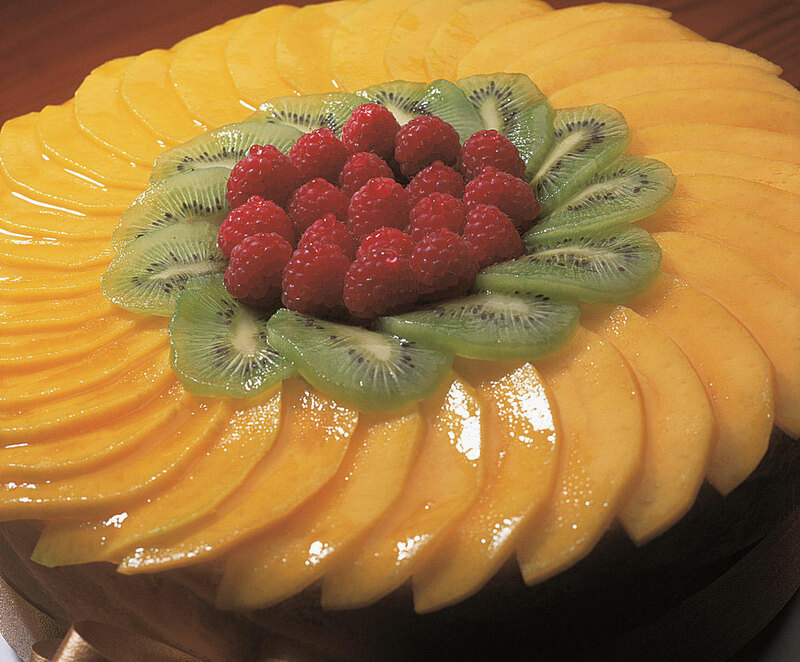 A tropical cake with fruit mousse is beautiful and refreshing no matter what season of the year it is. 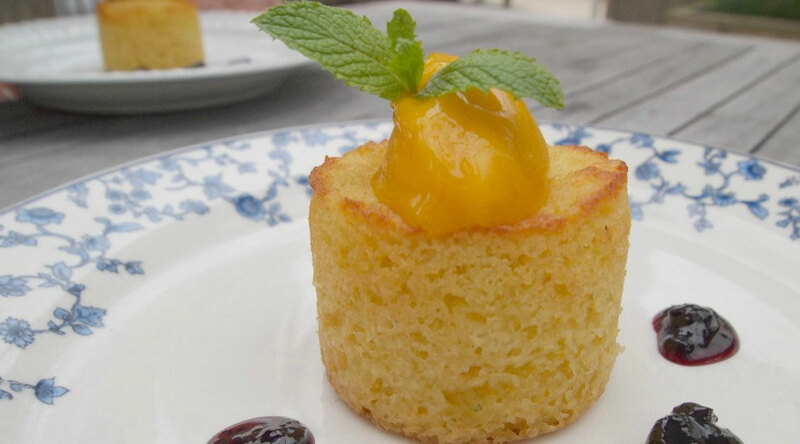 This creamy corn cake could be a corn cheesecake because of its texture. 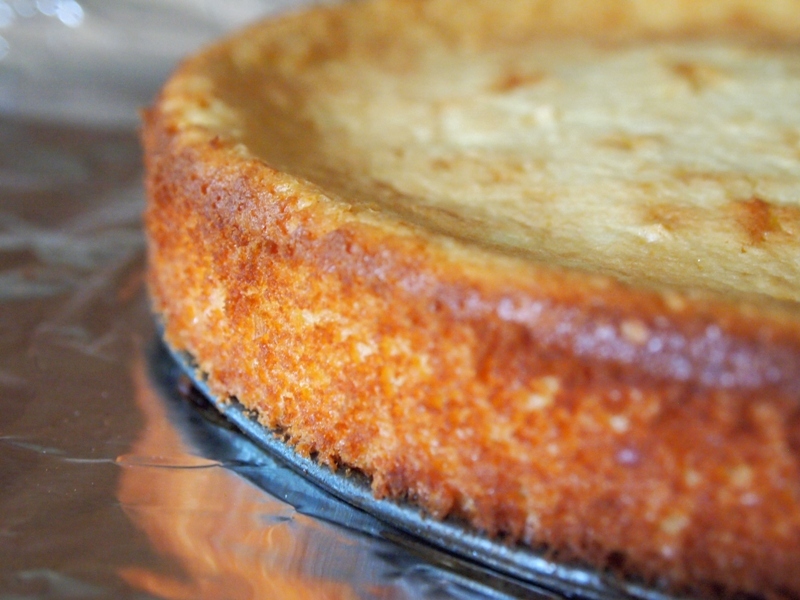 If you’re into cheesecakes and corn cakes or breads, there’s no way you’re not gonna love it. 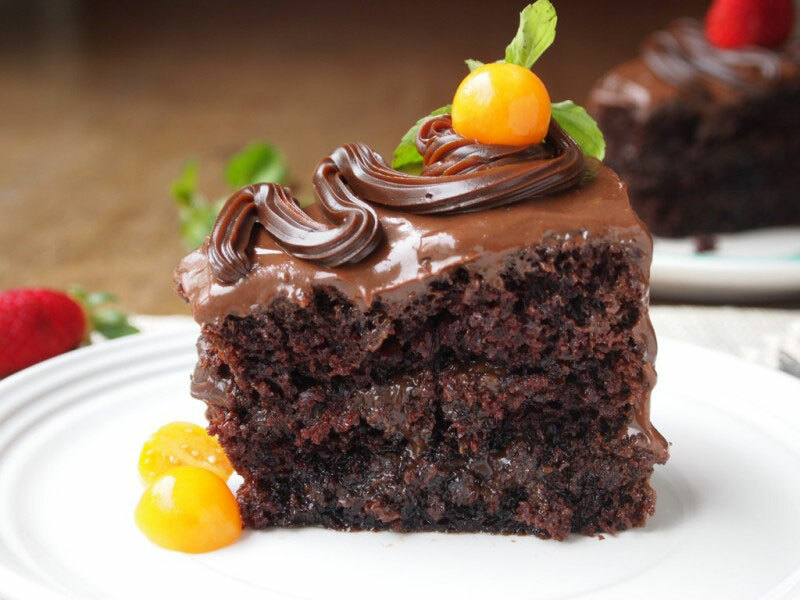 And our favorite chocolate cake ever deserves a special mention! Moist and rich, it’s made in one bowl and you don’t need a mixer to make it. Just look at the picture. Do I really need to say more? 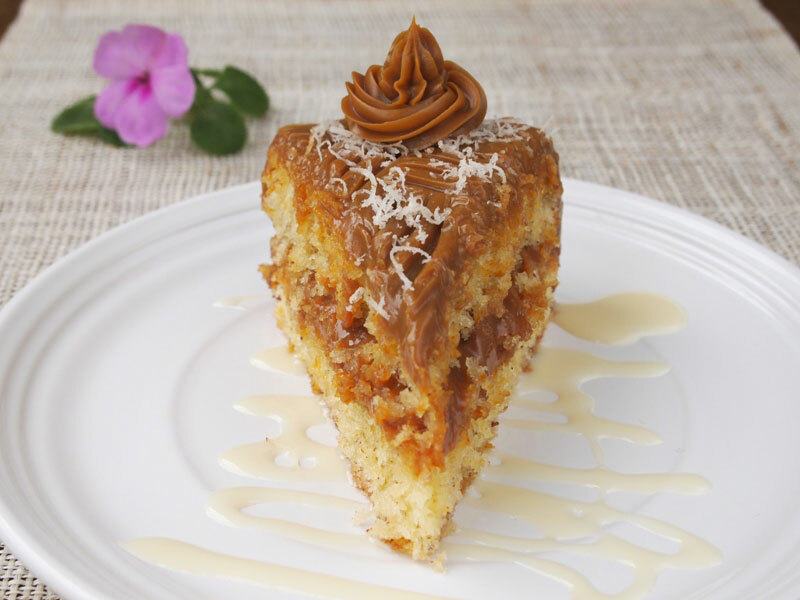 This is my favorite gluten free cake, and believe it or not, it has no flour in it, and only grated yucca instead. 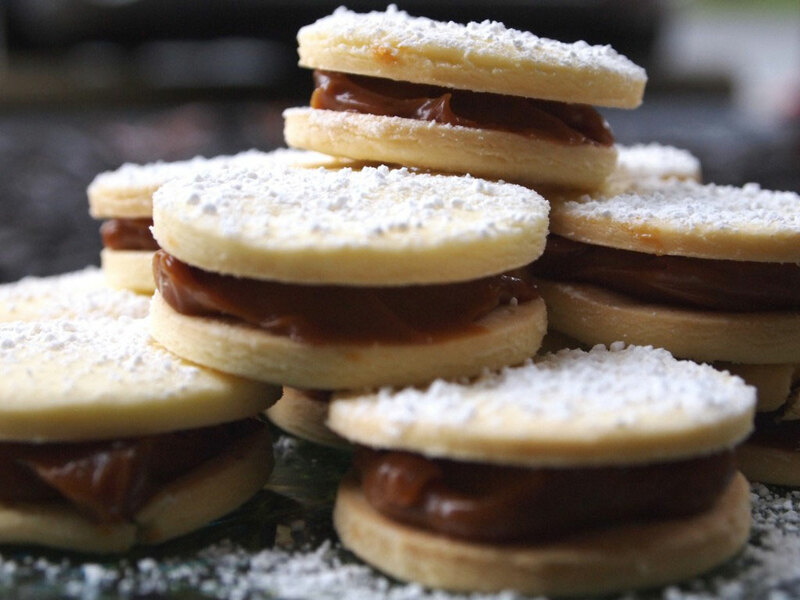 Cornstarch alfajores with just the right amount of manjarblanco (dulce de leche) are addictively tasty and will melt in your mouth. Make a large batch because they will go fast. 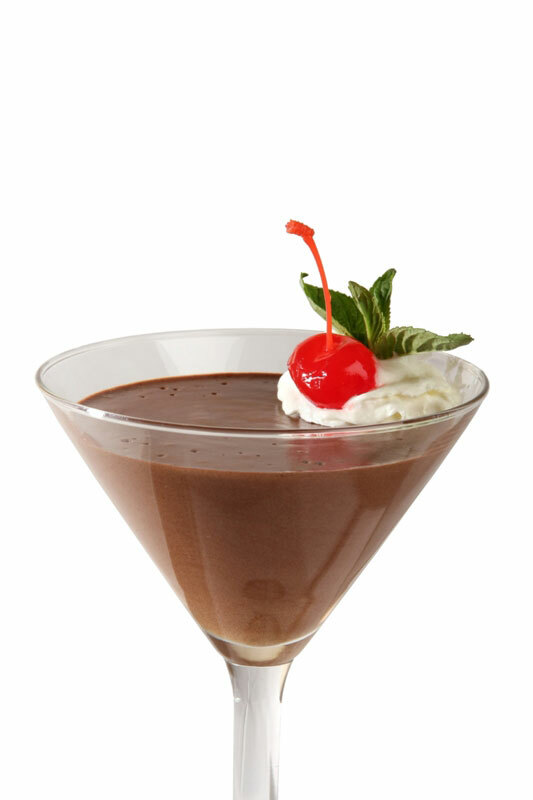 Use Peruvian organic chocolate to make this silky chocolate mousse. Whoever you’re making it for will fall in love with you all over again after the first spoonful. Moist and fudgy, the texture of this Brazil nut turron is amazing and so is the nutty, sweet taste. 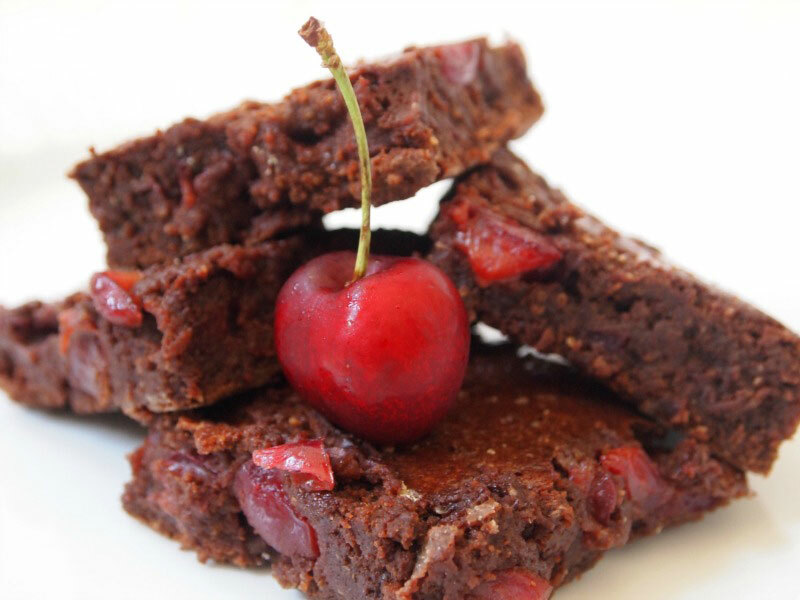 Can you believe these amaranth cherry brownies? We promise that they are as moist and decadent as they look in the picture, and if that wasn’t good enough, they are healthy too. Try them and you will be in love. 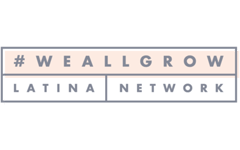 French toast with a Peruvian twist are the way to go if you are planning a romantic and lush breakfast in bed. So here you have them. My 14 favorite picks for Valentine’s Day. Have you decided which one you wanna make? I’m going to spend the whole Saturday in the kitchen! Lovely ideas!